A while back C at Little Bit Funky posted about this book. Since that post she has become a sewing mastermind. It is unreal what this girl can accomplish in a day, much less how crazy her sewing skills are considering she has been sewing for only a matter of months. I knew I couldn't go another day without the book and I was just hoping that it would make me 1% the crafty, speedy sewer she is. It did not disappoint. The first project I made was the bamboo bag. Easy peasy. Super cute! I am a dork and have a weird little system. I pick one present a year and then customize it for each of my friend's birthdays. 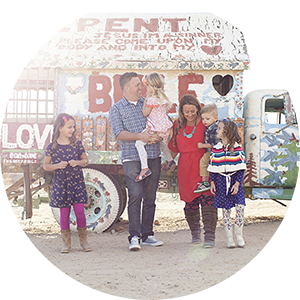 It keeps me organized, keeps Lucy from having to go shopping, makes everything fair and helps me by planning ahead. My friends aren't surprised when their gift rolls around, but at least nobody gets left out. Last year my present was this sign. I just made my last one and now the bamboo bag becomes this year's project. I am looking forward to picking out fabric for each friend's personality. Here is my first try. I found this fun & funky vintage fabric for my friend Amy who is 5th grade teacher. Her class focuses on American History and she is super cute and patriotic. I also made a tissue cozy with this easy tutorial, a little wallet and an oilcloth key fob. I also had a sweet Etsy seller make a car litter bag to match. 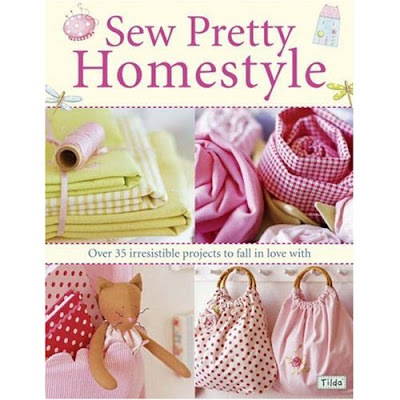 So if I buy this book I might have a chance at learning to sew??!! OOHH!! I better see if I can find it! Ya know, I have had my sewing machine for TWO years now and never sewed a single stitch! This might be my time to learn!! Thanks for sharing Julie! It is always fun to see what you are up to!! Okay, I'm buying this book. I'm always so impressed with Little Bit Funky's funkiness! Always so cute! I don't even have my sewing machine with me right now (due to renovations), but I'm shaking I want to do something creative! Super cute, bag. Boy, you really seem like you have it SO Together - good gift idea!